Kay was 20 years old when she stumbled into her first yoga class at the local 24hour fitness gym in West Los Angeles. She remembers hearing a lot of Sanskrit words and a lot of cues to breathe. “Hummm, so this was all the rage?” Even though she was unsure, something always drew her back to give yoga another try, at a different studio, with another teacher. Ten years later, at the recommendation of a friend, she found herself in a Bhakti Flow Yoga class, and on that day everything clicked. Without having ever studied any yoga literature, she found a deep understanding of what yoga meant. She came to experience yoga beyond the mat, the postures, or any of the mantras. “If it does not make you more kind, more patient, and more reasonable, it’s not yoga” shared Rusty Wells who taught that Bhakti Flow Yoga class. 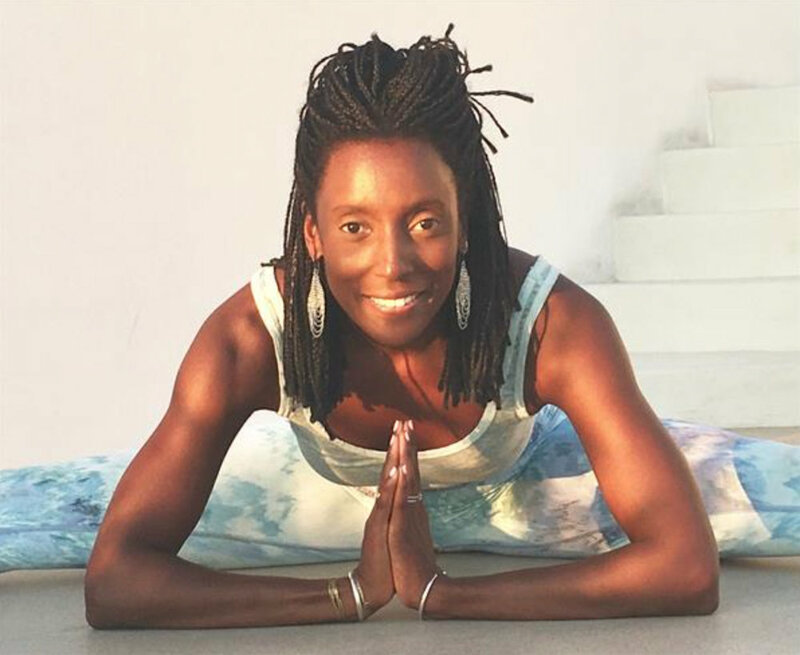 In 2011 after completing a Bhakti Flow Yoga teacher training course she started teaching Bhakti Flow yoga because she found instructing just as satisfying a practice as doing the postures. It is her intention that students who attend her classes feel they can "come as you are” and allow the breath, the true teacher, to guide the experience. The physical benefits of yoga are undeniable when we tap into the power of the breath and we find the heart, mind and spirit are also wonderful guides. As a yoga instructor and Breathwork Healer, she is honored to share Bhakti, the yoga of love and devotion, with anyone who happens to stumble into one of her classes.